LONDON, BIRMINGHAM, REGIONAL AND SCOTTISH RECORDS. 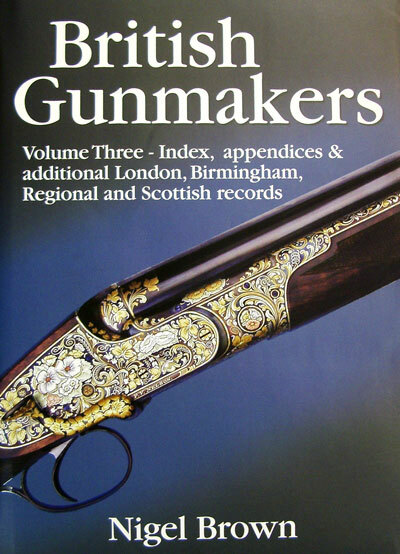 The final volume of the British Gunmakers series compiles the records of old and new gunmakers and expands the factual information highlighted in the first two volumes. It is illustrated throughout and offers new research on records of an additional 190 Scottish and English gunmaking firms, particularly from Birmingham and London.